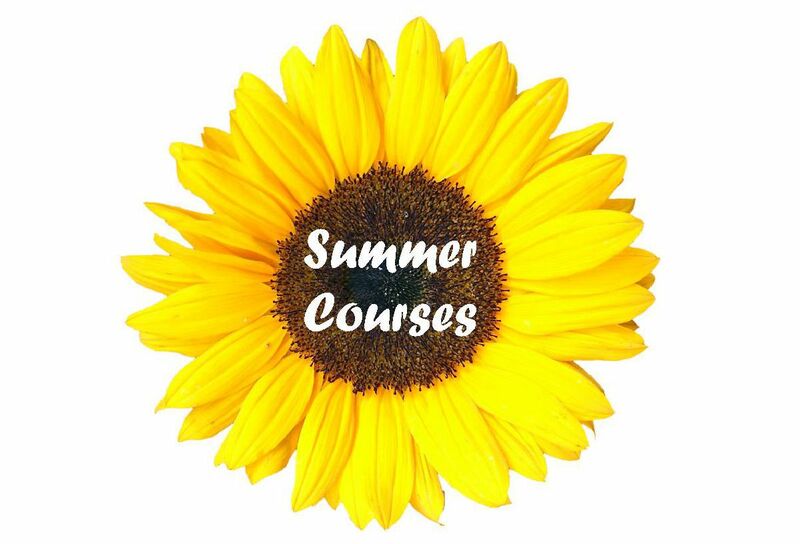 Kilkenny Education Centre Summer Courses and PDSTTE Summer Courses will be live on the website from 4p.m. on Monday 29th April 2019. Posters will follow in electronic and hard copy format. As booking for all Summer Courses is online only through the Centre website, we encourage all teachers to check their login details for same in the meantime, to ensure they can successfully login when courses go live. Should a teacher have any difficulty accessing their account please contact the Centre directly. Further to the recently announced opportunity by Minister Joe McHugh for schools to cluster together and apply for Creative Clusters funding and support through their local Education Centre, please see the Application Form and Guideline document for further information. The Press Release and Guidelines Document sets out information about the new clusters and the application process for same. As you will see from the press release, Kilkenny Education Centre is already supporting three local schools to work together on a coding project which also supports transition between the three schools. St. John’s Senior School is the lead co-ordinating school and works in collaboration with St. John’s Junior N.S. and Loreto Secondary School to develop innovative coding projects. Senior students support and mentor junior students, thus supporting student transition between schools. The Creative Cluster will enjoy access to a specialist facilitator, artist or creative expertise in whatever their own chosen area of interest or theme might be. These resources will help the schools build a programme of learning and activities tailor-made for their students. In addition, clusters will receive up to €7,500 (€1,500 per participating school) to help bring their plans and ideas to fruition. Clusters can consist of all Primary schools, all Post Primary schools or a mixture of both. Kilkenny Education Centre will be supporting one creative cluster of three to five schools. Please do not hesitate to contact the Centre should you have any queries or questions about this exciting opportunity! Kilkenny County Council Arts Office is calling out for artists to express interest in participating in our Teacher-Artist Partnership Summer Course and follow-on residencies in schools in the 2019/2020 school year. All information can be found here, along with information on how to express interest. 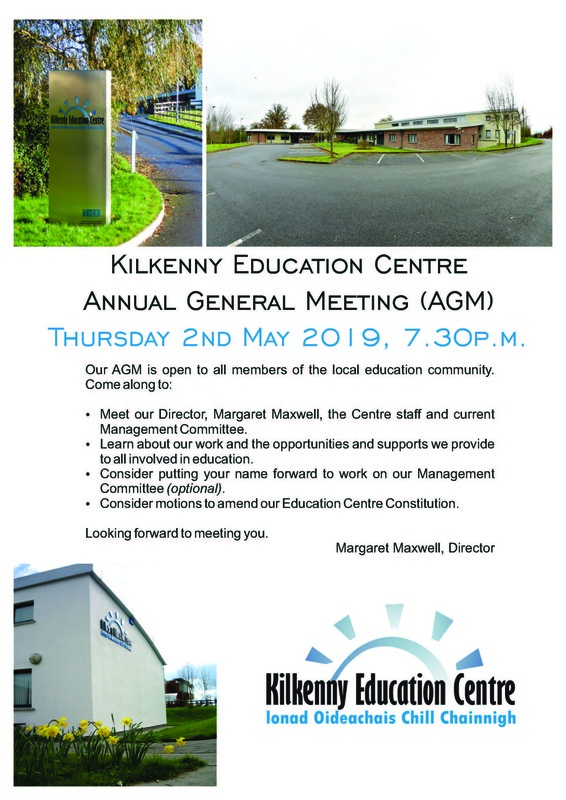 The closing date for artists to express interest to Kilkenny Education Centre is Wednesday 17th April 2019. The Inspectorate introduced a new model of inspection called Child Protection and Safeguarding and Inspection in January 2019. This inspection focuses on a school’s compliance with key aspects of the Child Protection Procedures for Primary and Post Primary Schools 2017. To familiarise principals with the Child Protection and Safeguarding Inspection model, the Inspectorate is facilitating four further seminars, with a maximum of 300 places on each. The seminars will provide an overview of key aspects of Child Protection and Safeguarding Inspection, including its aims and its features, the checks conducted during the inspection and Child Protection and Safeguarding Inspection reports. Participants at the seminar will have an opportunity to discuss and ask questions about the Child Protection and Safeguarding Inspection model. Substitution for Primary teaching principals will be paid. Please mark CPSI in the subject box and ensure to clearly state your preferred time on your completed Booking Form.